Phoenix, Arizona, Redcat Racing the premier source for quality gas, nitro and electric powered RC vehicles, announces the release of the Gen8 P-A-C-K (Pre-Assembled Chassis Kit). With custom builders making up a large percentage of the RC crawler community, Redcat wanted to offer something this community could really get excited about. Redcat is now offering the Gen8 P-A-C-K (Pre-Assembled Chassis Kit), for those who want to run the Gen8 chassis with their own choice of electronics, wheels, tires, and body. The Gen8 PACK already includes many of the features custom builders look for, and is ready to be transformed into a high performance, one of a kind, custom rig. The Gen8 PACK uses the same chassis that makes the Gen8 International® Scout II RTR vehicle so great. 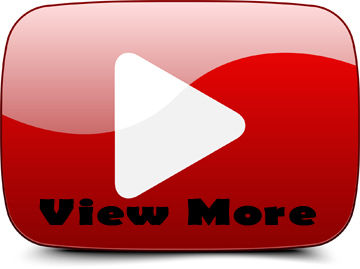 It is designed and developed by Redcat Racing, in house, in the United States. The new Gen8 PACK also shares the same stock chassis components as the Gen8 International® Scout II RTR vehicle, such as: C-channel frame rails, low center of gravity battery tray, centrally mounted divorced transfer case, lockable slipper clutch, portal axles with metal gear covers, MOD-1 gears, machined aluminum spools, front CVAs, 32 rubber-sealed ball bearings, threaded aluminum shocks, 47º steering blocks with proper Ackerman, Panhard bar, LED-ready bumpers, winch-ready front bumper, and frame mounted floor pans. The Gen8 uses portal axles with 47º of steering to help the vehicle maneuver in tight spaces. The additional ground clearance offered by the portal axles allow the Gen8 to roll over obstacles, that might normally hang up other vehicles with traditional axles. The Gen8’s portal axles are outfitted with MOD1 gears for increased durability. Machined aluminum spools are used to ensure, that both, the left and right tires have equal pulling power. Aluminum Panhard bars are used to keep the portal axles from shifting side to side. This setup has proven to be a very effective combination, both on the trail, and on the rocks. As mentioned above, the Gen8 chassis uses a divorced transfer case. There are several advantages to this setup, such as evenly distributing the weight of the drive train along the centerline of the vehicle, while allowing for a very low center of gravity. This is noticeable on the trail, when attacking aggressive slopes sideways. Another advantage is the ability to get the battery seated lower in the chassis. This too, keeps the center of gravity low, but it also creates room for a custom built cockpit. This is sure to be a huge selling point for the true-to-scale custom builders out there. Custom builders will be excited to know they can purchase the Gen8 PACK and install a motor, speed controller, radio system, steering servo, battery, wheels, tires, and body of their choice; all of which are not included with the PACK. This is a great way for drivers to create custom rigs of their own, using the new Gen8 chassis as a base. For builders looking for customization ideas, Redcat has released an ever growing collection of FREE 3D printable parts files specifically for the Gen8, and are available for download at thingiverse.com/RedcatRacing/designs. There are already many performance parts available for the PACK and many more are sure to come. Redcat understands that there are still those who would rather purchase an RTR kit, and personalize the vehicle slowly, at their own pace. The Redcat Racing Gen8 International® Scout II RTR vehicle will remain available for purchase. The RTR version includes the same chassis and is ready-to-run right out of the box. All that is needed to complete the Gen8 International® Scout II RTR vehicle are batteries and a charger. 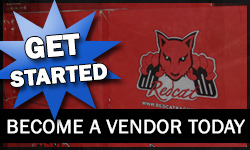 With these 2 product offerings, Redcat has effectively catered to the custom builder community, while still remaining loyal to the ready to run enthusiast. The Gen8 was designed and developed by Redcat Racing in Phoenix, Arizona. This highly tested kit has already proven to be a contender and the Gen8 PACK includes the same tuning options found on the Gen8 International® Scout II RTR vehicle. Tuning options include: nine upper shock positions, threaded shock collars for quick suspension tuning, adjustable front toe angle, adjustable frame mounted bumpers to fine tune approach and departure angles, adjustable slipper clutch with lockout option, adjustable lower suspension link angle, and an adjustable wheelbase, from 312mm – 336mm. The PACK’s adjustable wheelbase is a great way to tweak performance, as well as opening up possibilities for different body styles with varied wheelbase lengths. Now drivers can find a body they like and adjust the vehicle’s wheelbase to fit that body, within reason of course. 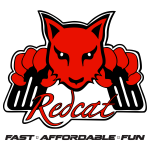 Established in 2005, Redcat Racing (www.redcatracing.com) has become premier name for Fast – Affordable – Fun ready to run, gas, nitro and electric powered remote controlled surface vehicles. All Redcat Racing vehicles come fully assembled and ready to run right out to the box making it simple for anyone to get started in the R/C hobby. Redcat Racing has a complete line of parts and accessories as well as a wide selection of vehicle sizes ranging from 1/24 scale to 1/5 scale, ensuring that there is a Fast-Affordable-Fun vehicle for everyone. Visit www.redcatracing.com for more information and to find a dealer near you.